strip piecing to complete the foundation piecing on the arcs, redesigned stars with floating points, and Template Layout Sheets to speed up the cutting process for the stars and background pieces. 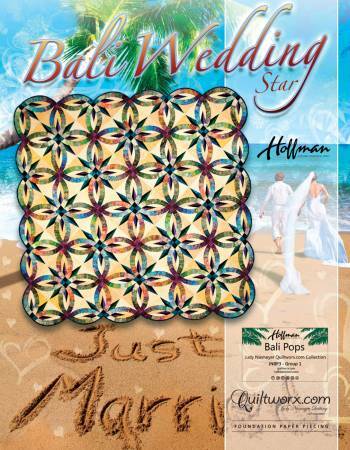 The 2008 pattern has become a staple for wedding ring quilts in the quilting industry and continues to be one of our best selling patterns every year. Trim the units with the Creative Grids CGRDW. The finished quilt measures 80 x 80 inches.